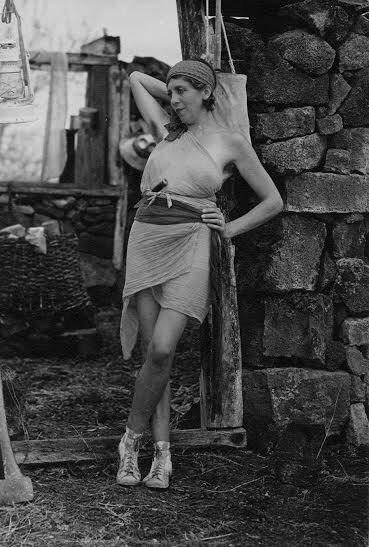 Opening in cinemas this Friday, The Galapagos Affair: Satan Came to Eden is an engrossing and mysterious documentary about the ill-fated community that was established on the small island of Floreana in the early 1930s. This strange and lurid tale contains at its heart a mystery that has never been solved. The Galapagos Affair will be available from the Cinema For All Booking Scheme from 8 August, just two weeks after its cinema release! Preview discs will also be available for film society and community cinema programmers – get in touch if you are interested! The documentary makes excellent use of the copious journals kept by all those who stayed on the island – each which is read as narration by an array of actors include Cate Blanchett, Diane Kruger and Josh Radnor. The frequent visits by a research vessel to the island also provided a substantial amount of video and photographic material which the filmmakers make careful and wise use of. This twisting tale begins calmly: A German doctor and professed Nietzschean, Friedrich Ritter, leaving his wife behind, takes up with Dore Strauch – a young woman who looked upon Ritter as something of a mentor. Ritter’s express desire was to leave behind society and in Dore’s journal she wrote “we come to make an Eden here”. They are resolute about their desire to live completely isolated and their desire to not be disturbed by other people. At first Ritter and Strauch do survive on their own, though Dore’s illness kept her from being as much help as she wanted to be (Dore suffered from multiple sclerosis and believed Ritter when he told her it could be cured through strength of will). But after 6 months the arrival of the research ship the Valero – whose crew was to become periodic witnesses to the rapid decline of the island’s community – proves a great boon considering their dwindling supplies. On the first visit we learn from the diary of crewman John Grath that Ritter and Strauch have settled in reasonably well and they are suitably impressed with their adaptation. So far all is well but the ship also brings with them a selection of newspapers which include the unwelcome announcement that Friedrich and Dore’s island paradise has been leaked to the press thanks to their letters home. Ritter is inevitably angry about this but weirdly we later learn that he has begun writing articles about their lives which only lead to more unwelcome attention. This is far from the only contradictory behaviour Ritter exhibits. From the start of the film directors Dayna Goldfine and Daniel Geller tease us with the knowledge that this Eden is going to fall apart in a most dramatic fashion so it is with a degree of uneasy expectation that we greet the arrival of the Wittmer family. Inspired by the stories of this idyllic paradise the Wittmer’s have arrived to claim their piece of it. Ritter is furious and tells them they are only allowed to settle on a difficult to reach hillside far from his own home. The Wittmer’s arrival is clearly the start of the island’s tensions but worse is to come. 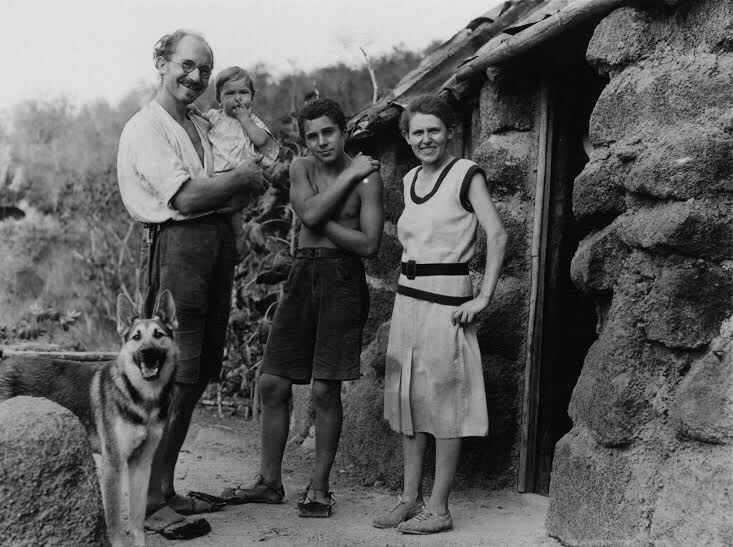 The Wittmer’s outside their first home on the island, built into the cave system. The most beguiling character in this particular mystery is Baroness von Wagner who appears on the island in October 1932 and immediately disturbs the peace between the Wittmers and islands first arrivals. The Baroness storms on to the island with two of her lovers in tow (both of whom have a peculiarly servile relationship with her) and declares that she is to turn the island into a resort for millionaires. Inevitably both the Wittmers and Ritter and Strauch hate her. On the first night Dore makes it abundantly clear the Baroness is not welcome. It is at this point that the crew of the Valero become more integral to the increasingly strained relationships on the island. Having already befriended Ritter the crew’s next arrival sees them bestow a wealth of gifts and supplies to Ritter and Strauch. Immediately the Baroness declares she is entitled to a share. As a result of this Ritter all but declares war on the Baroness and he and the Wittmer’s write to the Galapagos governor to protest the behaviour of the Baroness. But the Governor’s eventual arrival goes entirely wrong after he is apparently seduced by the Baroness and awards her the Titles to a large part of the island – including the Wittmer’s precious spring. Rapidly the Baroness has found herself the sworn enemy of both of the island’s families. And then, astonishingly, a third enemy appears when one of her lovers announces that he has had enough of her mistreatment and flees to the Wittmer’s home while he plots his escape. With this simmering mass of hatred and frustration the Baroness’s sudden disappearance brings with it a wave of suspicion that the filmmakers begin to untangle. To say anymore would ruin things, but there are several more twists in the tale. Accusations and revelations abound – infidelity seems to have been rife and at least one person’s identity is entirely false. Did the Baroness really flee the island? Or was she murdered? And if so, by whom? There’s mystery aplenty in the film and it is very well set-up by the filmmakers. But the documentary also finds time to investigate what it is like to live on rural islands in such small communities. 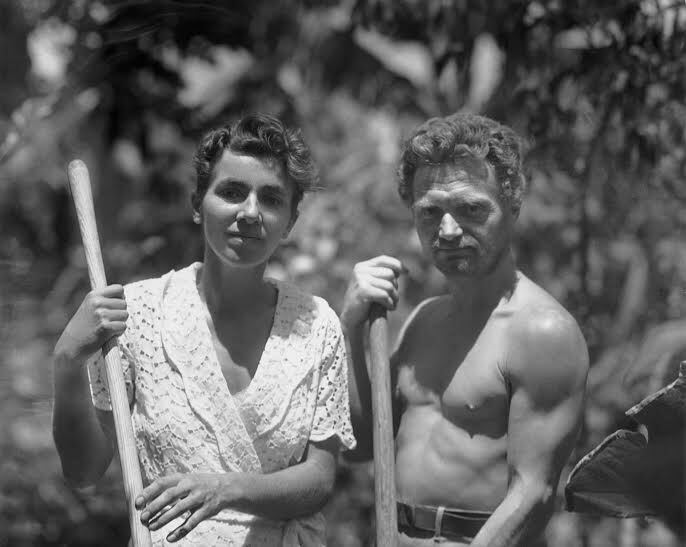 As such the film is peppered with interviews with current islanders many of whom have their own fantastic anecdotes and, it turns out, their own dealings with those who lived on Floreana. The story of the Galapagos Affair as it has come to be known is extraordinarily fascinating and this film does a terrific job of sketching it out. The use of actors to tell the story saves us from the sort of dry narration that can often creep into documentaries like this. The film borrows its subtitle from the book Marget Wittmer wrote about her experiences and the idea it evokes of a paradise slowly turning into hell is perfectly apt. The dream of an idyllic paradise is here shattered by the competing wills and abrasive personalities of those who have chosen to flee civilised society.